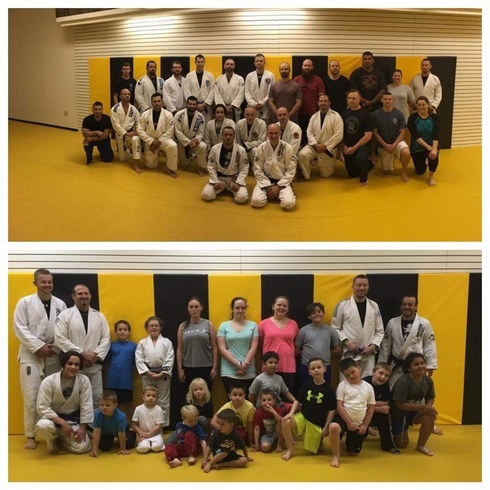 The Eddie Fyvie Jiu-Jitsu Academy is opening it’s SECOND location in NISKAYUNA! Our academy offers the most EXPERIENCED staff in Upstate NY. In our 12 years of operation, we have worked to develop a curriculum and training structure that is SUITABLE FOR EVERYONE. Professor Eddie Fyvie (Schenectady Native), has been practicing Jiu-Jitsu for over 20 years. After retiring from Professional MMA & Jiu-Jitsu competition, he devoted himself to instructing. Our instructor’s at EFJJA are expertly trained teacher’s. Our mission is to provide an academy that allows ANYONE a chance to excel, regardless of age, gender, or physical limitation. 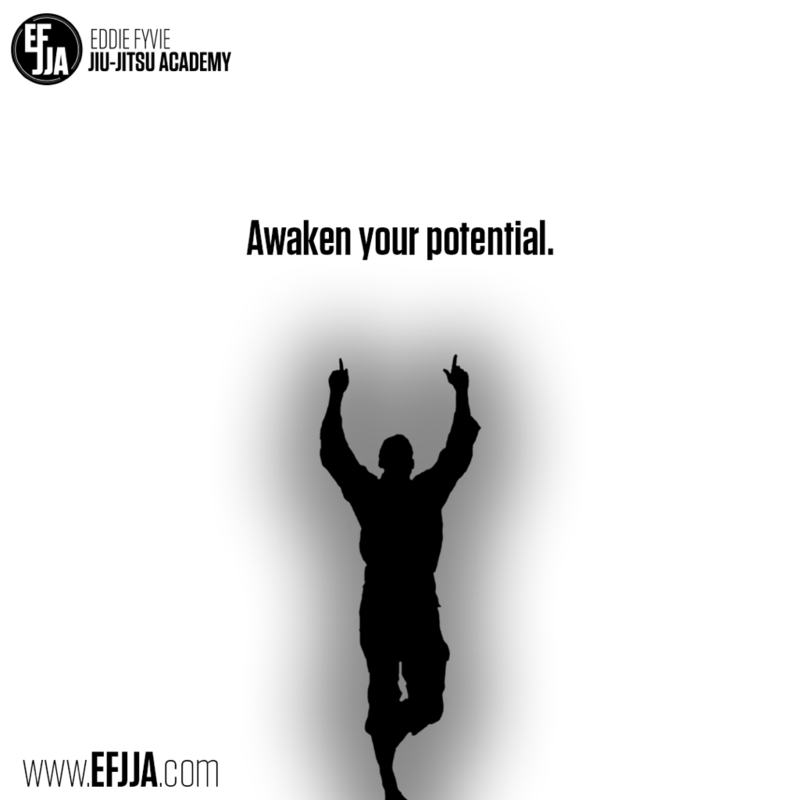 Join us NOW and AWAKEN YOUR POTENTIAL! On November 17th, we will be having a BLACK BELT CEREMONY. 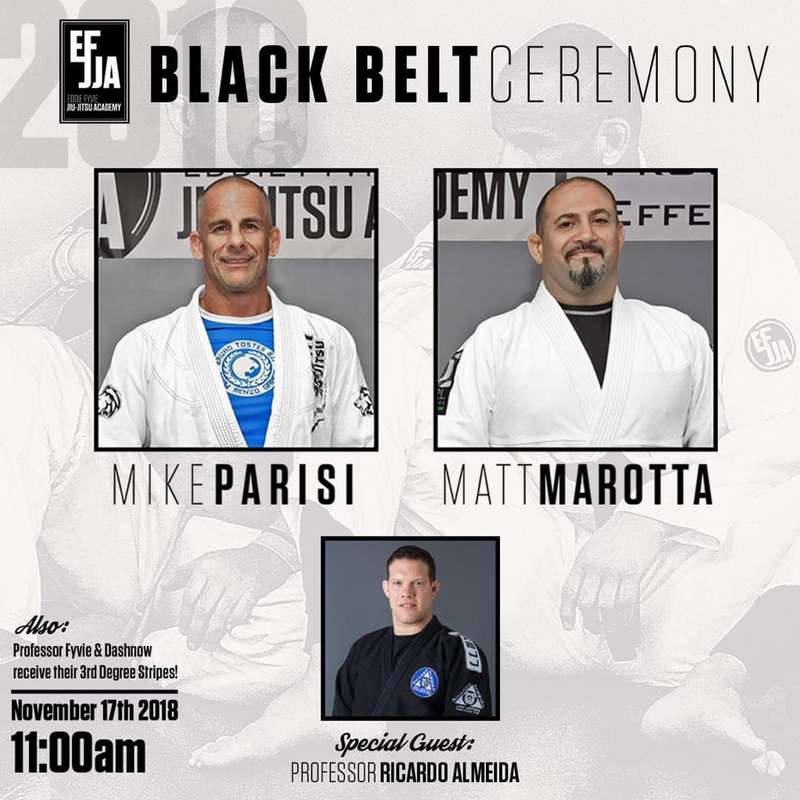 Michael Parisi & Matt Marotta will be receiving their BLACK BELTS! It will be a great honor to award these two individuals. They have been two of the most dedicated, loyal, and inspiring practitioners on our team. Professor Ricardo Almeida will be coming up for this incredible occasion and will be awarding Prof. Eddie Fyvie and Prof. Bob Dashnow, their 3rd Degree Stripes! Please mark your calendars and join us to celebrate! Renzo Gracie & John Smith Seminar! Watching Renzo Gracie and John Smith teach Jiu-Jitsu & Wrestling side by side, was one of the greatest experiences I have had in 20 years on the mats. It was an honor to host these two ICONS. It could not have been done alone. It was amazing to once again work with Frank A Popolizio and bring another event to the capital region that will be cemented in history! And lastly, Luca Atalla! It would not have happened without him! Bruno Tostes, Zack Esposito, Christian Xaropinho Uflacker, and George Sernack for all being a part of and a huge help at the event! 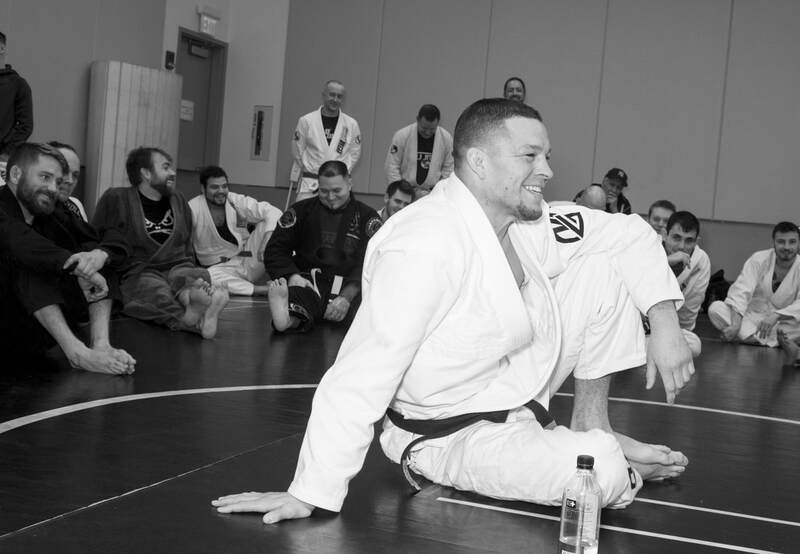 UFC Superstar, Nate Diaz made his way to the Upstate NY on Sunday, January 15th.The Eddie Fyvie Jiu-Jitsu academy brought Nate to town to host a very special, Jiu-Jitsu seminar to a packed room of participants! With over 130 people in attendance the event had to be moved from EFJJA in Malta, NY to the Saratoag Springs City Center. Nate spent over two hours teaching, and helping every Jiu-Jitsu practitioner who participated. We were very fortunate to have someone like Nate take time out of his busy schedule to visit! 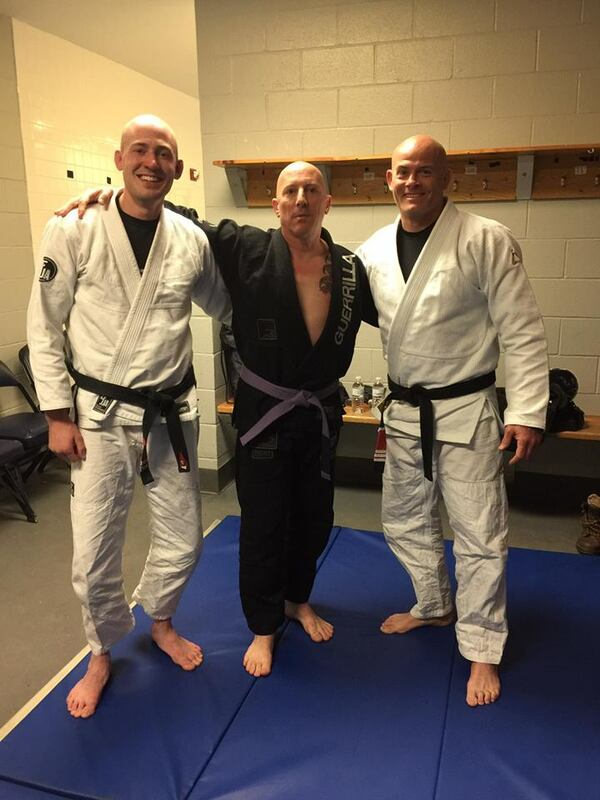 The legendary rock frontman of Tool, A Perfect Circle, and Puscifer, Maynard James Keenan, also happens to be an respected Jiu-Jitsu artist! Every time he comes to NY, the EFJJA crew hooks up with him for some great training! The Rickson Gracie Cup in Albany, NY! The Eddie Fyvie Jiu-Jitsu Academy made a strong showing at the inaugural Rickson Gracie Cup. Kid's and adults competed at this two day and event and worked very hard! Lots of hardware was taken home! The Largest BJJ Seminar In American History w/Master Rickson Gracie! 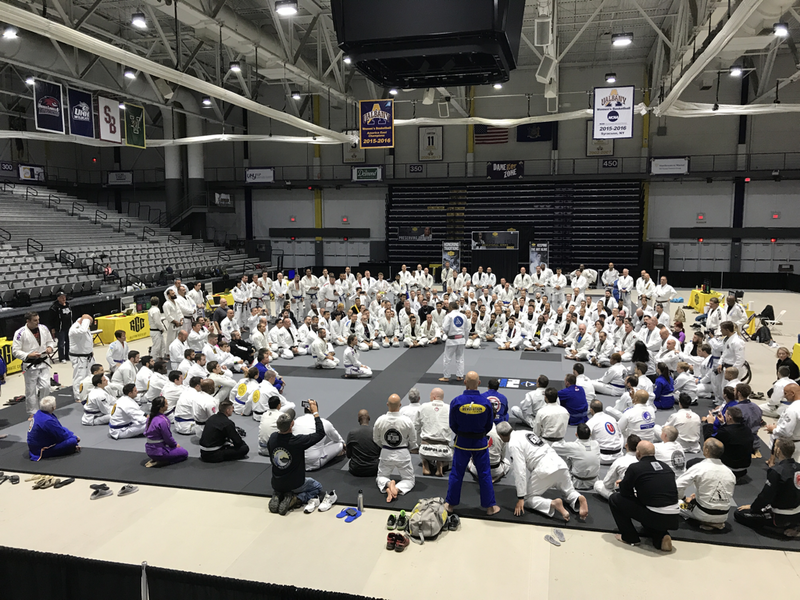 Fyvie Inc., hosts Rickson Gracie in Albany, NY at the inaugural - Rickson Gracie Cup! Over 300 attendees listening to the wisdom of Master Rickson! 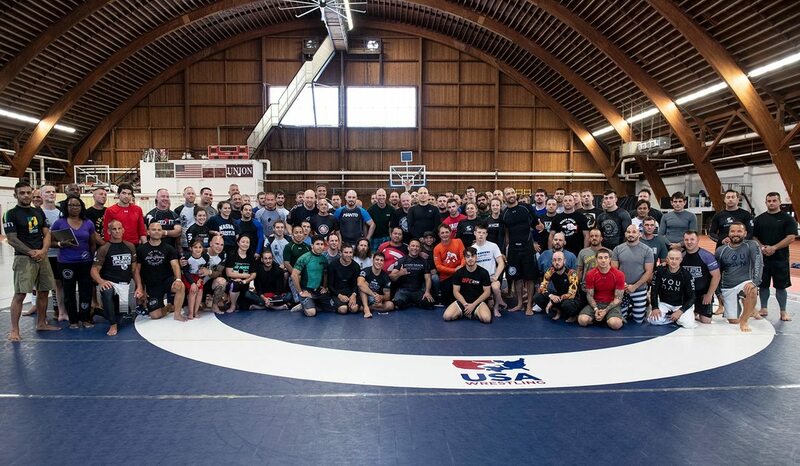 Fyvie hosted Master Rickson Gracie in what would be the largest seminar in U.S. history. once in a lifetime event! 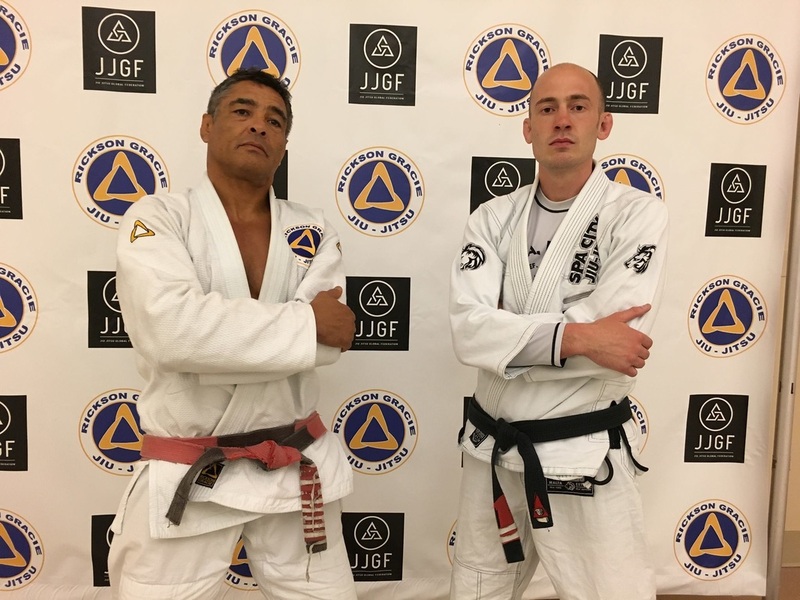 Rickson Gracie Receives His Red Belt! Professor Eddie Fyvie and Grandmaster Rickson Gracie in Las Vegas. On July 6th, Professor Eddie fyvie flew out to Las Vegas to attend The Rickson Gracie Experience at the MGM Grand. It was an incredible seminar as expected. The best part...Halfway through the seminar a who's who of Jiu-Jitsu stormed the mats and awarded Rickson Gracie his RED BELT. This is the highest honor in Jiu-Jitsu and a rare occurrence. If there is anyone worthy of the Grandmaster title, it is Grandmaster Rickson Gracie! 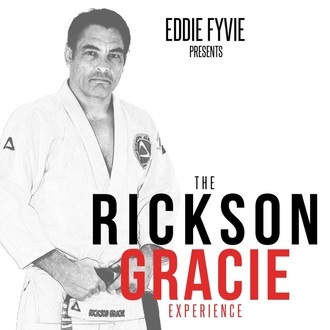 Stay tuned for more info regarding the Rickson Gracie Cup in September, hosted by Eddie Fyvie and Fyvie, Inc. The Rickson Gracie Cup Albany! The Rickson Gracie Cup is coming to ALBANY! Professor Eddie Fyvie along Grandmaster Rickson Gracie and The Jiu-Jitsu Global Federation will be putting in this monumental event! This seminar will offer something for ALL individuals who practice Jiu-Jitsu, teach Jiu-Jitsu, or who would like to try Jiu-Jitsu. They are working diligently to create the most competitor friendly tournament in the world. Also, Grandmaster Rickson Gracie will be holding a seminar! Register now to compete or attend the seminar! Professor Eddie Fyvie, Maynard James Keenan, Professor Bob Dashnow. Backstage before Tool, training BJJ! Maynard James Keenan is the lead singer of Tool, A Perfect Circle, and Puscifer. He is a music icon. A lot of people don't know about his love for Jiu-Jitsu. Last year, Maynard and Professor Fyvie connected and have made training a regular occurrence when Maynard is in town. ​Last night, Tool was playing in front of a sold out crowd in Rochester, NY. Professor Eddie Fyvie and Professor Bob Dashnow made the trip to meet with Maynard and train backstage at the show. ​Maynard's success s largely attributed to his incredible routine and work ethic. It shows in his art, music, and on the mat. It is always an honor! Black Belt (Actor), Scott Caan! 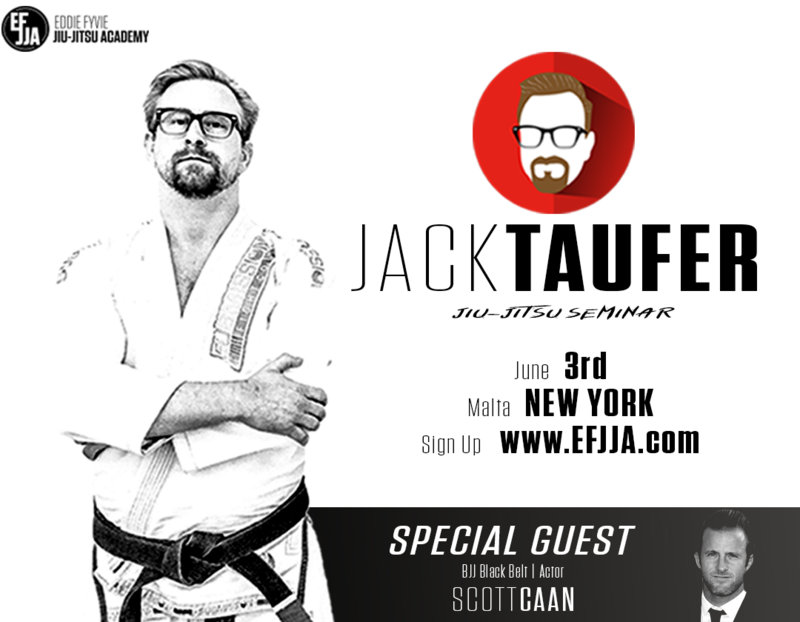 Jack Taufer is a Brazilian Jiu-Jitsu Black Belt under Dave Kama. Master Dave Kama is a Black Belt under the legend, Rickson Gracie. With that being said, Jack's abilities as a teacher and Jiu-Jitsu artist are HIGH LEVEL! As exciting as it is to have Jack fly out from California to teach; the excitement is amplified with our special guest, Scott Caan! ​Scott is a renowned actor, who is famous for countless roles on the big screen and TV. What a lot of people don't know, Scott is a Brazilian Jiu-Jitsu BLACK BELT and avid practitioner! This will be an incredible event and it's selling out quickly. Space is limited to 50 people! The Eddie Fyvie Jiu-Jitsu Academy was proudly represented at the 2017 North American Grappling Association's Albany tournament. Six SUPERHERO children (Mikayla, Maddox, Sean, Ryan, Sarah, & Ben) went out and competed to the best of their abilities and were able to come away with MANY championships and some losses. Winning is definitely the ideal outcome in competition, but losing always provides incredible lessons and powerful feedback. ​Along with our children BJJ competitors; five of our adult students bravely tested the waters and competed. Drew, Jason, Vince, Dijah, and Scott fought very hard with many wins and some losses. We are all extremely proud of the effort they made in preparation and fortitude they showed in their matches. ​The Eddie Fyvie Jiu-Jitsu Academy in Malta, NY, does not focus all of our energy on grappling, BJJ, and MMA competition. Our goal is to empower the community and provide a place where individuals can become the best version of themselves. We believe that too much emphasis on competition can steer you away from the meaning of the art. For some, competing will become a way of life or career. Others it will be a hobby. For the vast majority of students, it will not fit into their life. THAT IS OK. Jiu-Jitsu is a Martial Art for everyone. The sport of Jiu-Jitsu is a small piece of the art. We hope to be a place that offers the Jiu-Jitsu lifestyle of your choice! We are so excited to welcome Vladislav Koulikov to The Eddie Fyvie Jiu-Jitsu Academy in Malta, NY. Vlad is a VERY well known; Sambo, Jiu-Jitsu, and Judo EXPERT! He will be teaching a special TWO HOUR seminar on Leg Lock Defense & Escapes. This will be his second time visiting the Saratoga Region and we are glad to have him bring his lifetime of Martial Arts expertise to our facility! Master Luis "Limao" Heredia with Professor Dave Rath. ​On January 5th, Master Luis Heredia traveled to The Eddie Fyvie Jiu-Jitsu Academy in Malta, NY. This is the first time he ever visited the Saratoga Springs region. He has been practicing Martial Arts for 40 years and was one of the first Jiu-Jitsu representatives here in the country teaching Self-Defense. ​He is a 5th Degree Black Belt under the most iconic figure in Gracie Jiu-Jitsu history...Rickson Gracie! We had an amazing night and all of our students learned a massive amount! 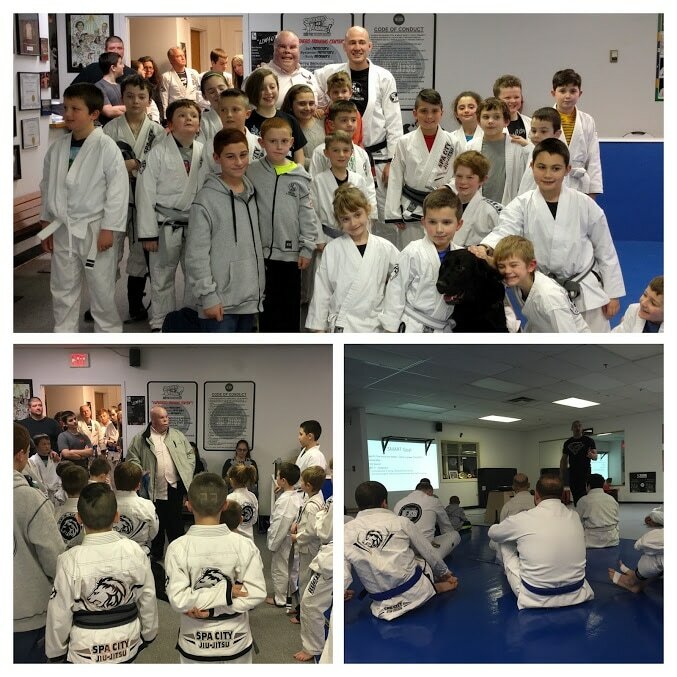 Everyone at The Eddie Fyvie Jiu-Jitsu Academy in Malta, NY had an amazing treat last week. Sweethearts and Heroes Co-Founder and former UFC Veteran, Tom Murphy stopped by for a "Goal Setting" seminar. It was a perfect event to coincide with everyone's New Years Resoultions! Along with Tom, American Hero - Rick Yarosh stopped in to give a H.O.P.E inspired talk to our wonderful and respectful Kid's Jiu-Jitsu Class a.k.a. Superheroes in Training! Rick is the epitome of inspiration and is truly someone we can learn from when it comes to overcoming adversity and incredible obstacles. We are so grateful for your appearances and help. 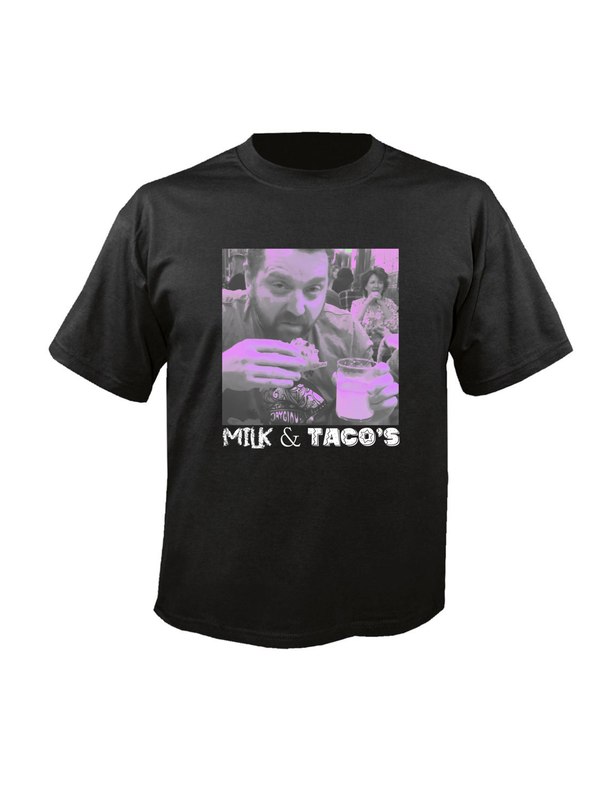 Thank you Tom, Thank you Rick, and Thank you to Jason Spector! Check out or BRAND NEW YouTube channel. We will be putting frequent videos up there. Techniques, classes, events, etc! 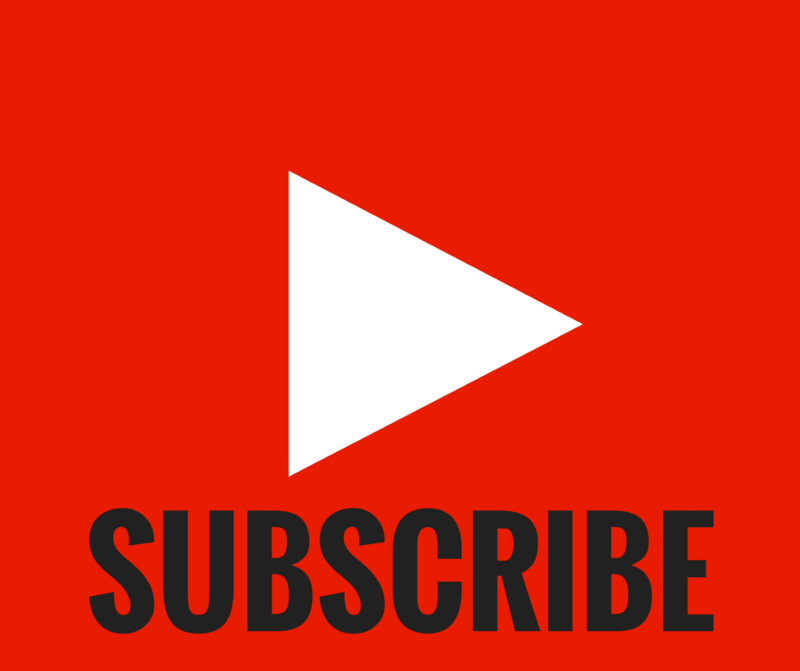 We look forward to having some of the best Martial Arts, BJJ, and Jiu-Jitsu videos in the market! This morning, Professor Eddie Fyvie once again had the privilege of training some of The New York State Police! Jiu-Jitsu = The ultimate supplement to Law Enforcement officials & their tactical skills! Eddie Fyvie Jiu-Jitsu Academy is a proud supporter of Police! On October 29th, we had over 100 students pack the gym in Malta, NY to celebrate and congratulate, Dave Rath & Kirill Gron on their YEARS of hard work and dedication. 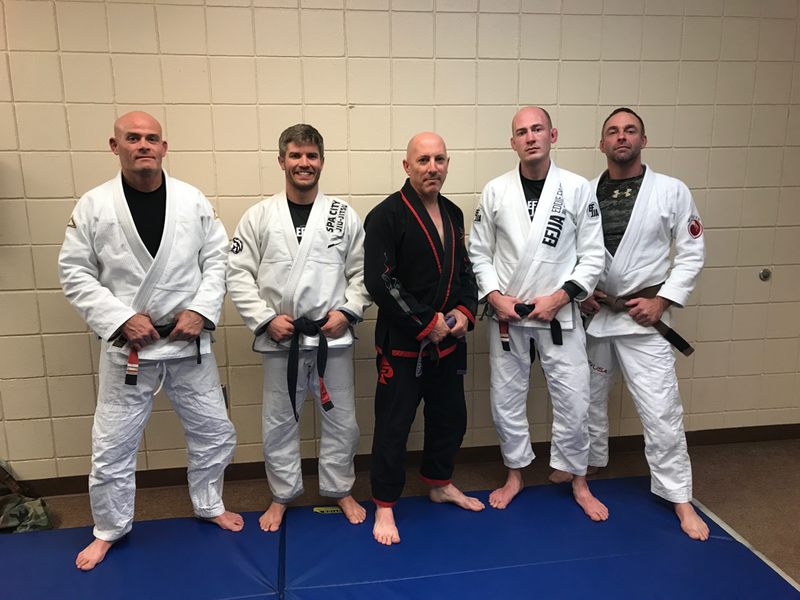 The Eddie Fyvie Jiu-Jitsu Academy was proud to honor these men with their well deserved Black Belt! Next year we look forward to having many more Black Belts and continuing our tradition of excellence in Saratoga County! Proudly serving the Saratoga Springs, Malta, Ballston Spa, and Clifton Park regions! Three years ago, ownership of Spa City BJJ in Malta, NY was transitioned over to Professor Eddie Fyvie. In that time... upgrades, growth, new relationships, and new ideas have helped transformed the school from a club to an ACADEMY. We are on a mission to spread Jiu-Jitsu and its powerful teachings all throughout Ballston Spa, Clifton Park, Saratoga Springs, and it's surrounding regions. ​We have always offered the HIGHEST level of instruction for White Belt students all the way up to Black Belt Professors. This will be an UPGRADE, an EVOLUTION, a TRANSFORMATION. 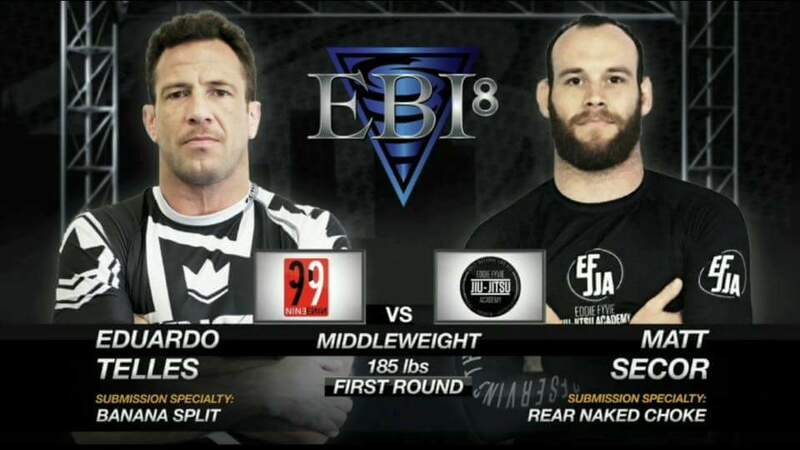 The most prestigious, professional grappling tournament on the planet is The Eddie Bravo Invitational. This past weekend in Los Angeles, California, Matt Secor competed against 5th Degree Black Belt, Eduardo Telles. ​This was an incredible match! ​Secor and Telles went into Overtime with Telles winning by a slight advantage. This was an incredible battle of World Class Jiu-Jitsu competitors. Our school was proud to be a part of this incredible tournament! Check out UFC fight pass to watch! Eddie Fyvie Jiu-Jitsu Academy had an amazing time hosting MMA icon and superstar, Nick Diaz on Wednesday, June 22nd, 2016 with 80 attendees. 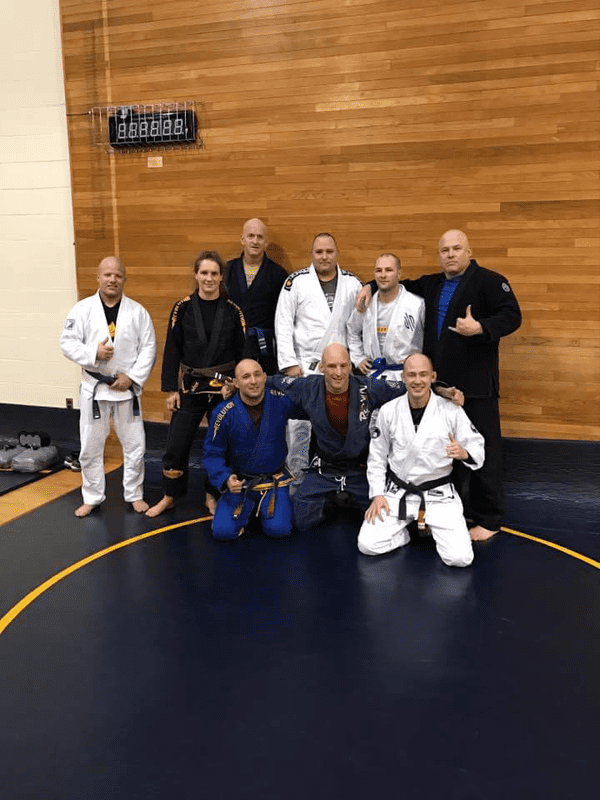 Nick traveled up to Malta, NY to teach a two hour, action packed seminar. He very much enjoyed his time in Saratoga County! put on an unbelievable Jiu-Jitsu seminar that will go down in the EFJJA in Record Books! It was an honor to have such a veteran of the art on our mats. THANK YOU! In June of 2016, Professor Fyvie attended the "Invite Only" Jiu-Jitsu Founders Awards in California. It was an incredible and rare event, surrounded by Jiu-Jitsu royalty! LARGEST Jiu-Jitsu seminar in American history with Rickson Gracie. ​Over three-hundred participants were able to experience history in the making. This event was held at The Saratoga Springs City Center. 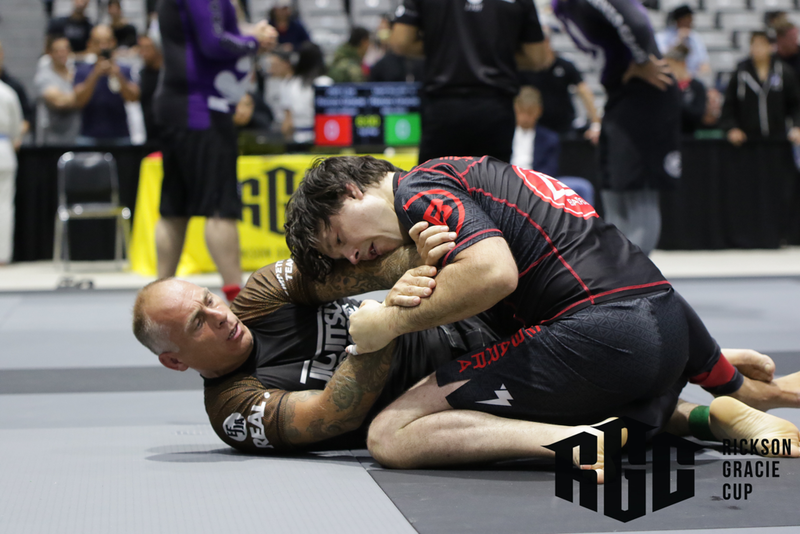 Jiu-Jitsu Times published an article covering the event, to read more click here. Pick up the latest issue of Jiu-Jitsu Magazine to also read about the event. In May 2016, Professor Fyvie was invited by Rickson Gracie to attend Master Pedro Sauer's amazing new facility in Herndon, Virginia! With an amazing atmosphere and wonderful team, it was a great location to host another Rickson Gracie Seminar! We Have a New Affiliate! 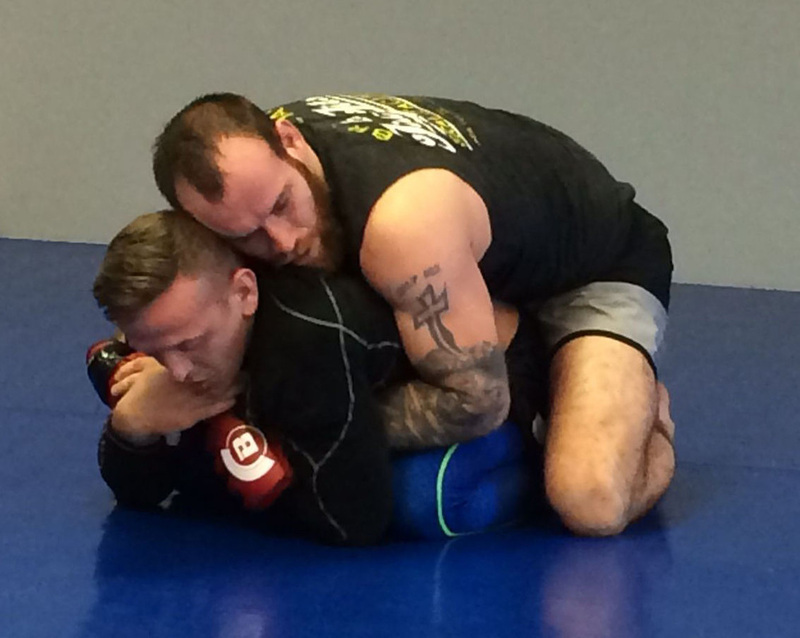 ​Black belt James Fallas has opened up EFJJA's first affiliate school, High Level Jiu-Jitsu. James is an incredible coach with vast knowledge of the art. Located in Amsterdam, NY, High Level Jiu-Jitsu is going to provide a family atmosphere for the community to learn Jiu-Jitsu. Check out their Facebook by clicking the following link: ​High Level Jiu-Jitsu or visit their website here. 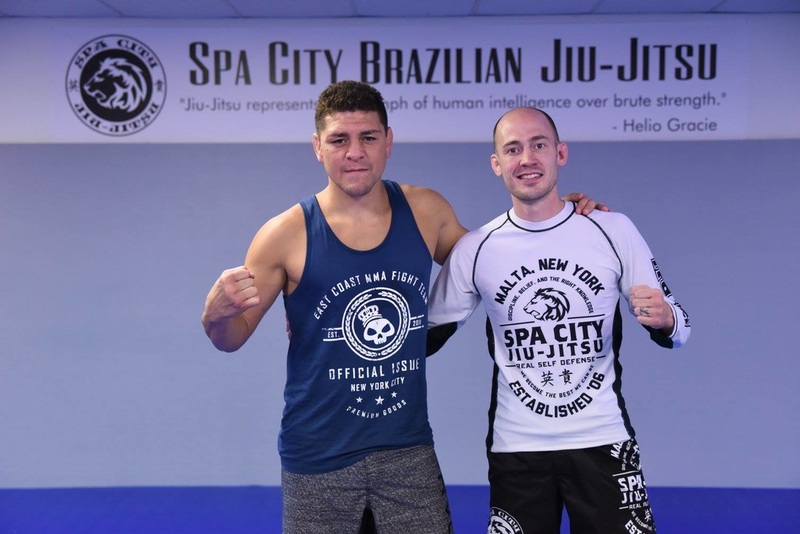 "Secor Poised for MMA Breakout"
MALTA - Rolling through an intense workout at Spa City Jiu-Jitsu one morning a couple of weeks ago, Matt Secor is sweaty, tired and showing no signs of slowing down. Jiu-jitsu is a free-flowing, grappling style of martial art — moves and counter-moves flow one to another naturally... Read more in the Post Star Here. In February 2016 Travis Viault brought home a gold and silver medal from the Newbreed Grappling Tournament in Long Island. Congratulations Travis! On January 26th, 2016 Eddie Fyvie Jiu-Jitsu Academy and Core Fit BJJ member Danielle Walter was interviewed by WRGB News Anchor Julia Dunn for a Jiu-Jitsu focused fitness segment on CBS 6.
and see how Jiu-Jitsu can change your life! On January 26th, 2016 WTEN spends time in Malta while owner Eddie Fyvie shares information regarding Legalization of Mixed Martial Arts (MMA) in New York State. Check out the story here or click on the picture above. In January 2016, The Eddie Fyvie Jiu-Jitsu Academy implemented a month-long free weekly women's self-defense class. The positive feedback and requests to continue classes helped initiate a new weekly women's self-defense class. In January 2016, Grandmaster Flavio Behring brought 68 years of Jiu-Jitsu knowledge to The Eddie Fyvie Jiu-Jitsu Academy. Mr. Behring holds the rank of red belt, which is the highest achievement in Brazilian Jiu-Jitsu. In most cases, it takes 60 years to achieve. ​Thank you for spreading your wisdom to our team.